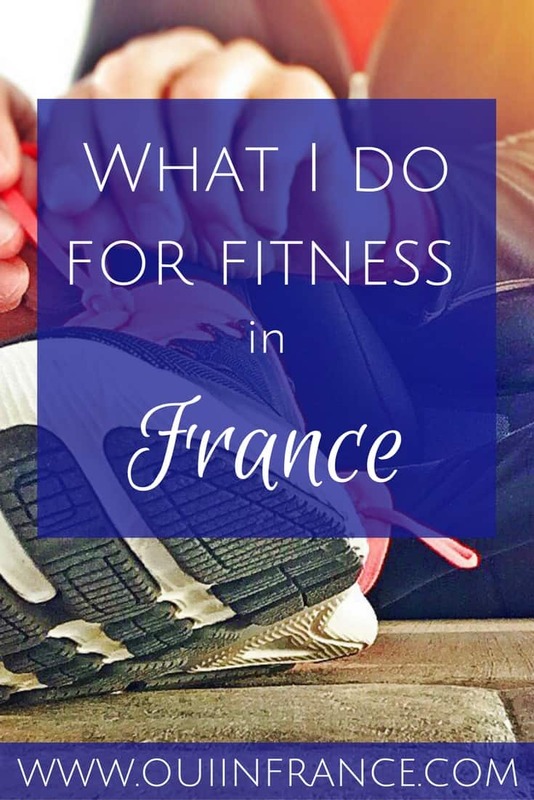 Although I’m not a group fitness instructor in France, I’ve taken enough classes on both sides of the Atlantic in my lifetime to know what an excellent instructor looks like. But I’ve also seen a bunch of things that’ll make you cringe. Whether you work out at studio, community center, luxury gym or anything in between, here are 10 things I hope you never see a group fitness instructor do. Before I get started, just a note about Oui In France’s content going forward. I’m shifting focus and you can read more about that here. 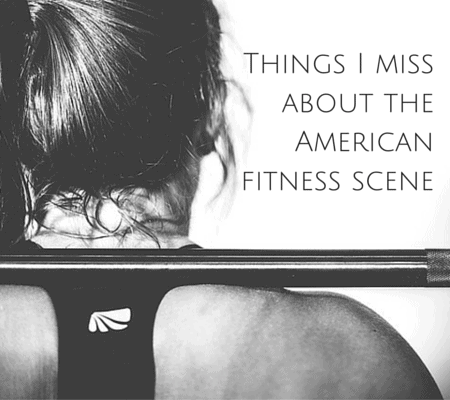 I’m a huge fan of group fitness classes and have tried so many types of classes over the years. Group fitness instructors help to motivate you, make working out fun, coach you, provide tips on technique and are there to help you accomplish your fitness goals. A handful of instructors have stood out to me because they were encouraging, great coaches, had so much energy and were masters at their craft. On the flip side, other instructors have been memorable for all the wrong reasons. 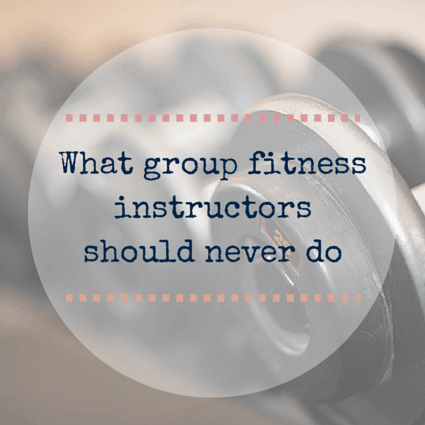 But what should a group fitness instructor never do? Here are 10 things which I’ve seen firsthand over the years. 1. Call someone out in front of the class. Easy fix: Turn your mic off and run over to the person individually if there’s a technique error, point out the proper form to the entire class or speak to the person one-on-one after class. 2. Seem like you’d rather be somewhere else. From being distracted to having zero energy, a group fitness instructor who is bored is the worst. If you’re bored and wish you were somewhere else, where does that leave us? This is one surefire way to ensure I’ll never come back! Easy fix: Fake it until you make it or get a sub if you’re sick or having a personal issue. 3. Tell me before we even start how hard the class is. Are you trying to scare us? If we’ve already made the decision to come to class and are there, let us form our own conclusions after the class is over. What’s “hard” is completely subjective depending on a participant’s fitness level so don’t psych us out before we even try! If you tell me the class is going to be hard and I barely break a sweat, I’m going to be disappointed if I was looking for a major sweatfest. So do your thing and let us draw our own conclusions at the end. Easy fix: Just leave this sentence out of your pre-class motivation. 4. Come to class unprepared. Listen, I get it. Life happens. We get busy and scatterbrained and over extend ourselves. But when it’s your job to motivate others and teach a class, please come prepared and rehearsed and know your choreography, cueing and transitions. I understand that we all make mistakes here and there and flub a step or forget what comes next — that’s not what I’m talking about here. I’m talking about when an instructor comes to class and has nothing prepared for an entire track and decides to wing it (and even says as much!). 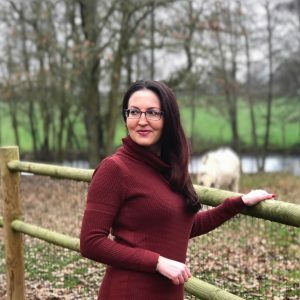 Your lack of prep shows and it’s not professional. Easy fix: Get a sub if you’re not prepared! 5. Show us an advanced or high-impact move without a modification. 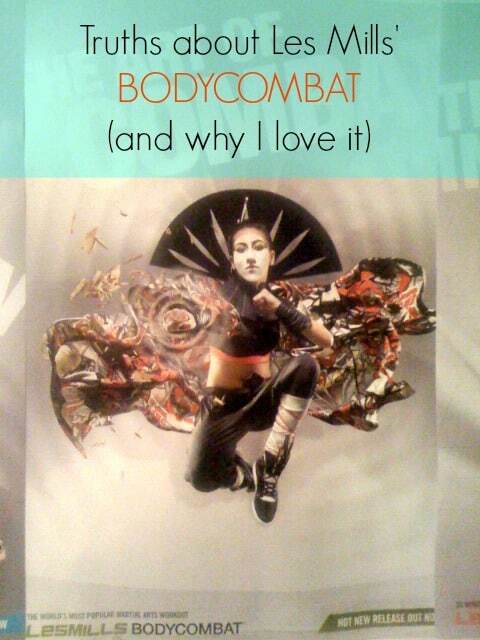 If I show up to a BODYATTACK class, I know I’m in for a killer workout and know what I’ve gotten myself into but don’t forget to show us the modifications. Not everyone is at the same fitness level or wants to jump all the time. Give us an option to make the move low impact or easier for those of us who want to take it down a notch. Easy fix: Just show a modification. 6. Tell us 4 reps are left and start counting down when there are really 10+. I know timing is not always easy but if you’re going to count us down or say we have 4 more reps left, get it right! I may know that I can push myself for 4 counts, but if there are really 10 or more left, there’s no way. Being accurate with the count or remaining reps is really important. Easy fix: Practice or don’t count us down if you’re not sure. 7. Tell us you’re tired or sick (or any other complaint). Part of being a group fitness instructor is putting on a little performance. For that hour, you are our sole focus and your energy has a direct impact on how much we enjoy the class and how hard we work. If you tell us ahead of time that you’re not up to the task, it’s killed my motivation, energy level and already disappointed me before we even start. Pull yourself together and fake it if you have to. Maybe the participants aren’t feeling 100% either but they still dragged their butts to your class, so give them what they came for! Easy fix: If you’re really not up to teaching, get a sub. 8. Ramble on about nothing. A good story can help distract us from the burn we’re starting to feel, but if it has no tie-in to the task at hand, let us focus on the music or our own dialogue in our heads. I didn’t come to hear about your cat’s latest vet visit or your kid’s latest history test grade. Easy fix: Zip it if it has nothing to do with the workout! 9. Show up drunk or otherwise impaired. I kid you not, but one time at a gym that will remain nameless, the step instructor showed up visibly under the influence of alcohol. He managed to get through class just fine but we all smelled the alcohol emanating from his being. Turns out, this guy had just broken up with his boyfriend and was fired immediately after members complained. I don’t think anything else needs to be said here. Easy fix: Get a sub instead of risking your career and safety! 10. Ignore the people in your class! This is the biggest offense in my opinion. 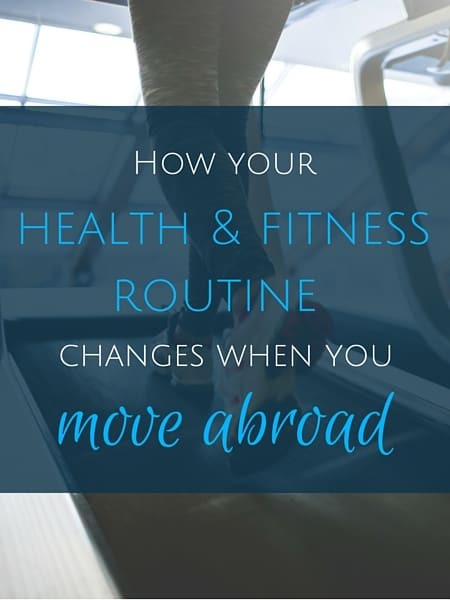 For many of us, going to a group fitness class takes some planning and even a little courage and is often the highlight we look forward to after a long day at work (or the motivation to get out of bed). So don’t just walk into your class 30 seconds before go time, teach a great class and then run out the minute the cool down is over. Say hi, get to know us and be human! This goes double when the class is at a boutique studio and I’ve paid $30 for the class! But regardless of cost, it is even more motivating when the instructor knows who you are and you feel accountable to someone other than yourself. We’re all in this together. Easy fix: Come to class a little early and mingle. Tell the class you’re available for any questions and will be around after class as well. We’re more likely to come back. Luckily the above types of group fitness instructors have been few and far between — but I’ve experienced them all. For me, they are certainly not the norm in France or in the U.S. Anything to add about what group fitness instructors should never do? Hahahah hi Diane! Thanks for this list. Obviously, I agree with all of these. I spend a ton of time preparing to teach all of my classes, because I know how important it is for a teacher to know EVERYTHING they are doing that day and do it right. I like to call people out by names, but not to embarrass them, instead to motivate them. I hope you don’t across a lot of these awful traits during the classes you take in France. Not good! Funny to hear all this from a member’s perspective of course. Oh, I’m sure you’re an awesome, prepared instructor and I’d love to take one of your classes. Next time I’m in San Fran, you can kill me in Body Attack. Deal? Great list – here’s one to add: Find the right balance between cueing, instruction and silence – don’t talk through the entire class. Went to a cycling class the morning after the Boston Marathon bombing where the instructor delivered a commentary about the incident throughout the entire class. Her mouth never stopped moving. It was not motivating or encouraging, but instead depressing and annoying. I stuck it out because she was dating the boss and felt that to leave not be in my best interests, but I never went back.